Joinery clamps named after their use when making sash windows. Normally they are made using a "T" section bar and the movable ends fit into a series of holes in the bar to give the coarse distance settings. These strong and positive acting clamps utilise the same "K" shaped bar stock that is used in many other Bessey clamps. These clamps are an upgraded and modern version of the traditional sash clamp. 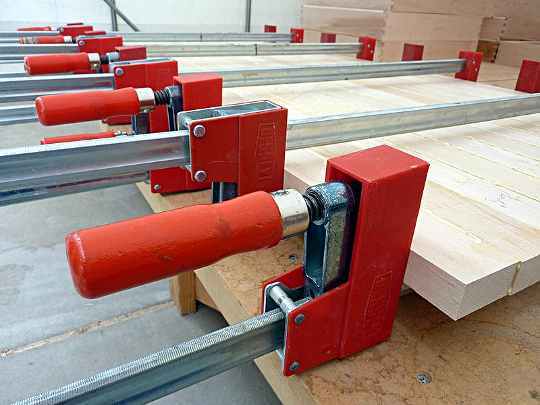 They have the same facility to be fixed to a bench and they are used just as the traditional sash clamps are used. The clamps are provided with generous plastic protectors for the jaws. There are different ways of using the back supports. 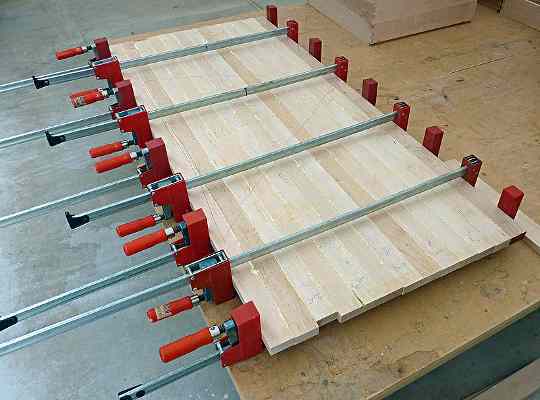 There are six different sizes available from 12" to 60"
Miter clamps are used as the name suggests mostly for holding miter joints together while glueing or pinning them. They are normally sold in sets of four. The main point of the clamp being to hold the two pieces that make the joint rigidly at right angles. 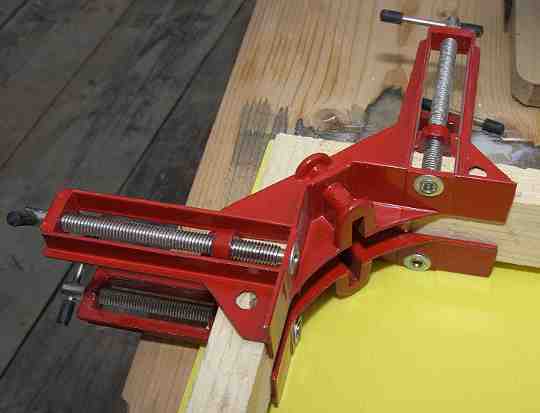 What you are looking at in the photo above is one joint that is being held by two mitre clamps. One is one the bottom and the other is on the top of the timber. There are other versions of the same idea about, one of those consists of four corner pieces joined with a flat steel strap that can be tensioned, so all the joints can be done at the same time.